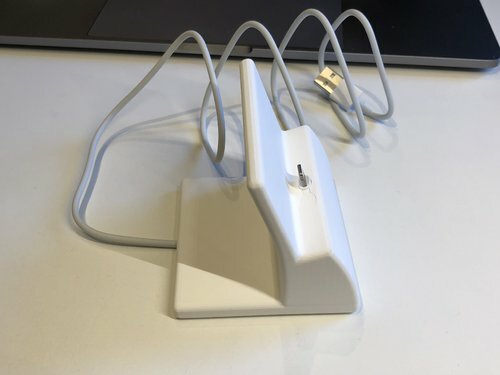 The new iPhone X is a few mm taller than the previous phones, so my old printed iPhone dock didn't work anymore. After some browsing I could not find any other dock I liked. The one I liked that doesn't fit does not exist for the X and I dislike mods on STLs/OBJs. The generic ones are typically clumsy or have other issues. So I decided to design one quickly from scratch. Here's the result I would like to share. 3D Benchy in 2 colors with Ultimaker 2+ with dual extrusion mod. 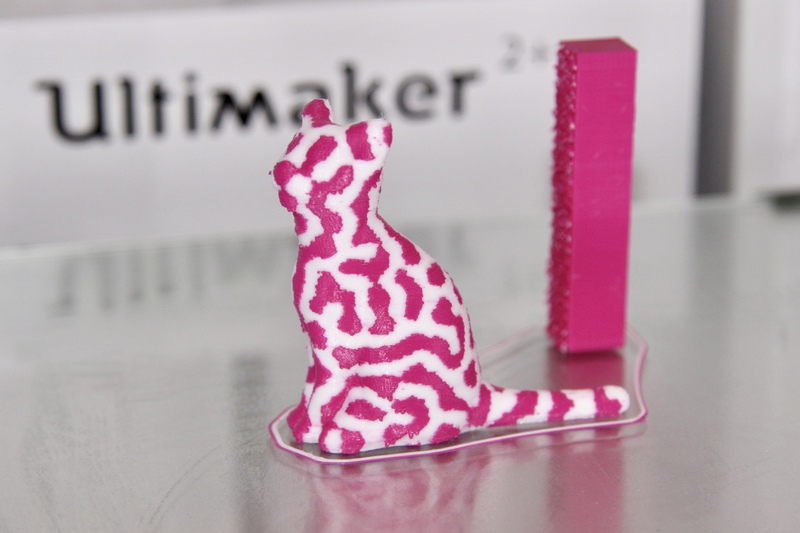 2-Color Cat printed with dual extruder mod for Ultimaker 2(+). 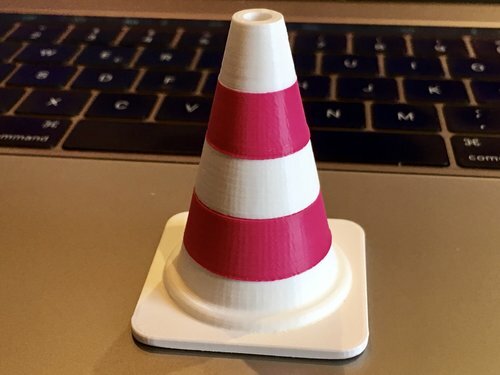 Verbatim White PLA and Innofil Magenta PLA. Print time 8h. 0.4mm nozzle, 0.1mm Layers, 65mm print speed. White 210 °C, Magenta 195 °C.